The 13-bout lineup for “World Series of Fighting 10” has been finalized. The June 21 card takes place inside The Joint at Hard Rock Hotel & Casino in Las Vegas. 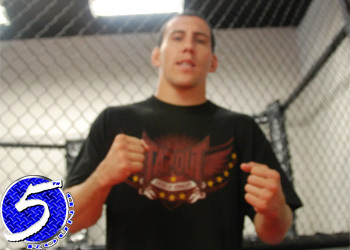 Jesse Taylor (pictured) and David Branch battle to become the promotion’s inaugural middleweight champion in the show’s featured attraction. Georgi Karakhanyan defends his featherweight belt against Rick Glenn in the co-main event. In addition, women’s strawweight champ Jessica Aguilar puts her strap up for grabs against Emi Fujino. NBC Sports Network broadcasts the main card live starting at 9PM ET/6PM PT.